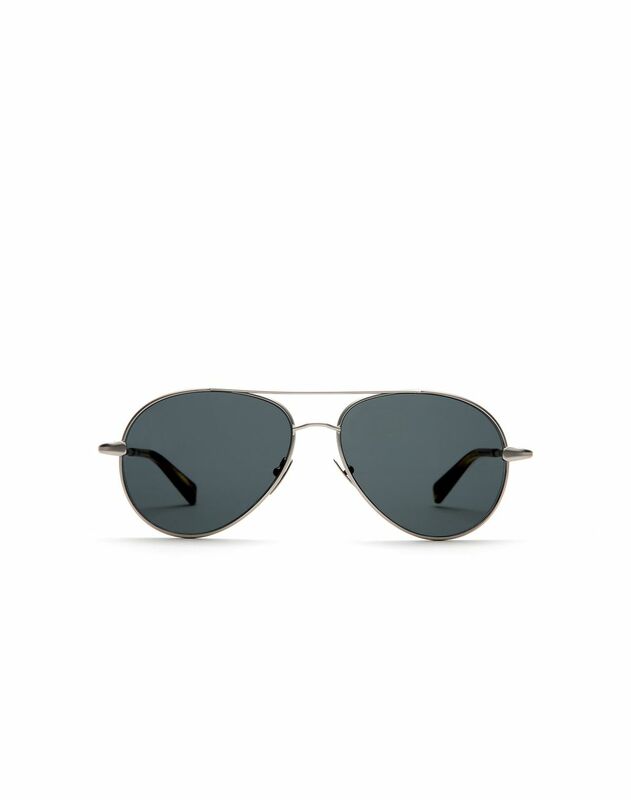 Silver aviator sunglasses with ‘torchon’ motif temple, double nose bridge and grey nylon lenses. 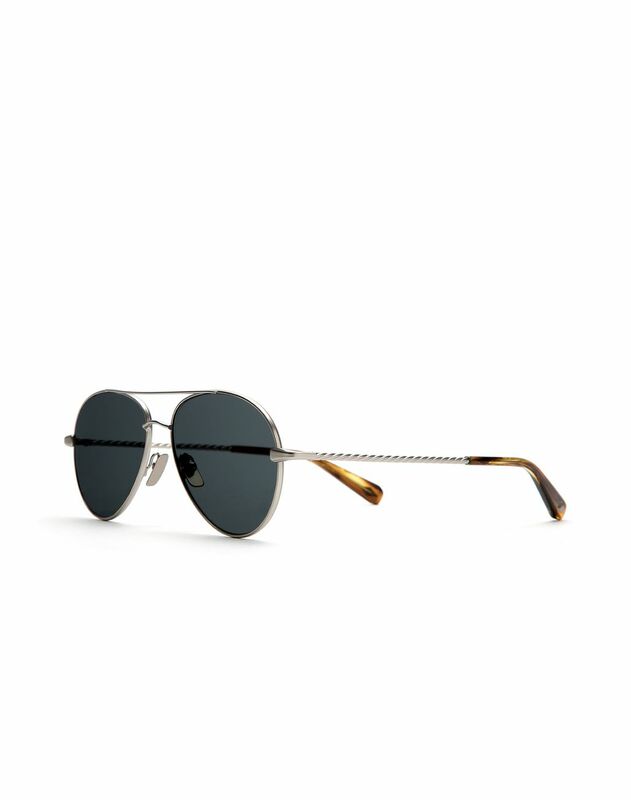 The end tip is enriched by the ‘B’ logo engraved in a mother of pearl effect acetate. 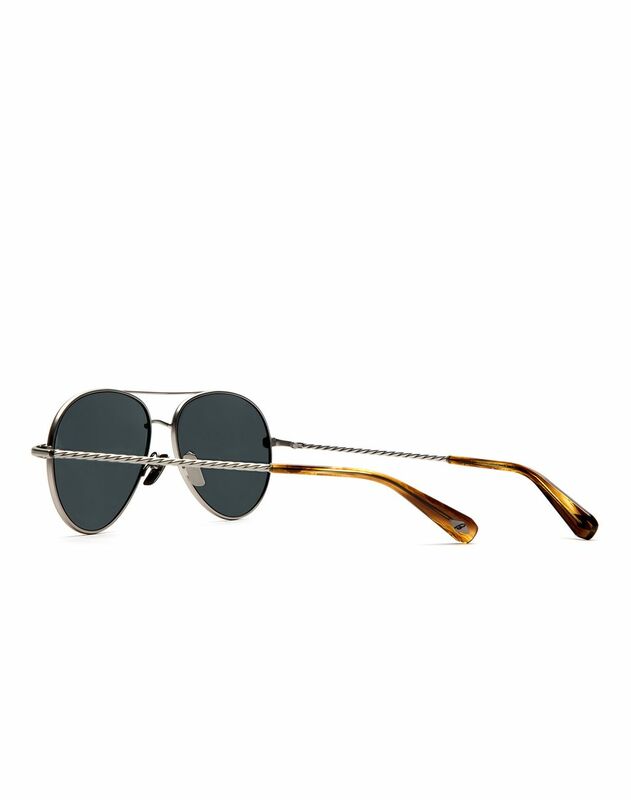 Lens width: 5.7 cm / 2.2"
We provide free pick up for your returns: you have 14 days of delivery to follow our quick and easy return procedure.